We would like to let you know the winners for the April issue. 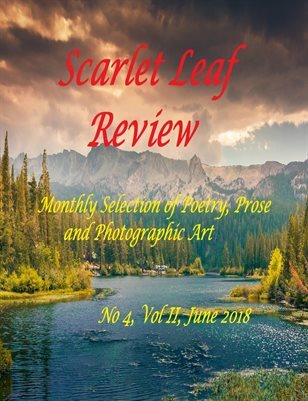 Between April 15 and May 15, 34,151 people read our stories and we are extremely delighted to have had the chance to offer them such a broad choice in poems and stories. And now, the winners, although, I cannot stress this enough, every single one of the poets and writers published in this magazine is a winner. They all offered you the possibility to read something that enrich your mind and your soul. We, the Scarlet Leaf Staff, want to thank them all. We will always be delighted to publish their works. We congratulate all of them and all of the other poets and writers that have contributed with their talent to our April issue. Way to go to you all! And a big thank you from us!